Wall rock has multiple uses. 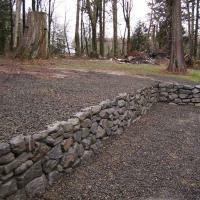 Create a short wall with one or two rocks or a tall wall with 3-4. Wall rock is easily handled by one person. Can be used in ponds, water features, edging and more.